Leaving a job is never easy as it is in starting one. 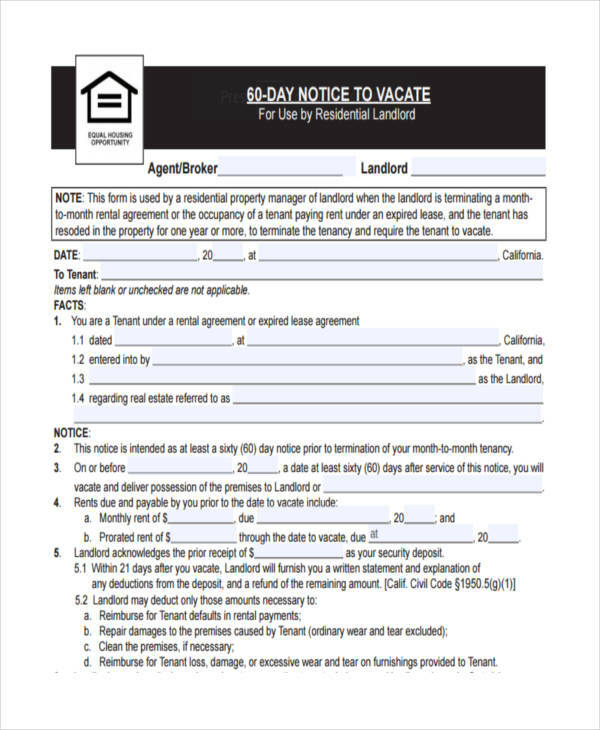 While there are numerous reasons for wanting to leave a job notice or employment, receiving a nonperformance notice from a superior would most definitely be one of many compelling reasons to leave the job. Some employees quit without notice and may face possible consequences such as a loss of a possible referral from the company. It is therefore proper to hand over a leaving notice or notice of resignation to formally and properly exit any company. 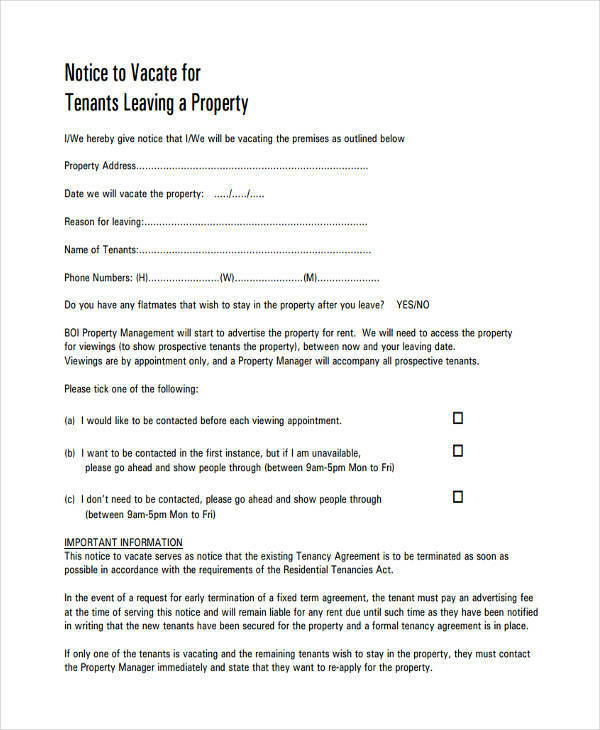 Examples that show such notices are found here for your reference. Keep it simple. As you may have been hearing this from all self-help topics and forums online, just keep it simple. Repeat. Keep it simple. 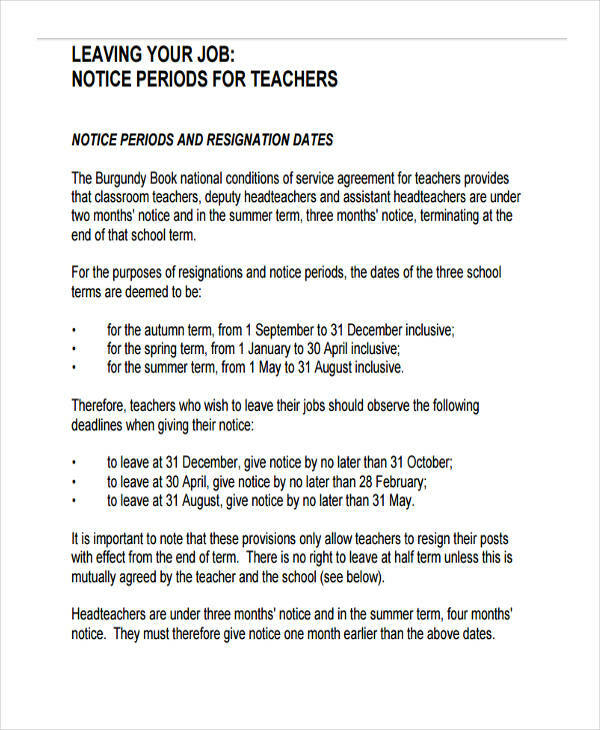 A resignation notice pay does not have to be all glorious in all intents and purposes but rather short and straight to the point. Just state your name and the position you are currently holding and the effective date of resignation. Say thank you. Always give the appearance of leaving on a generous note. 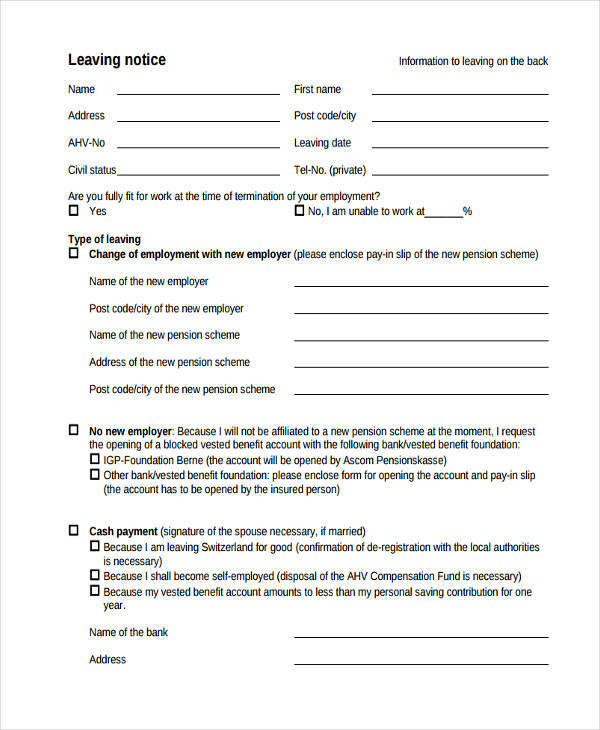 This is particularly useful if you need to have a referral for the next job. It also denotes a sense of professionalism on your part after the duration of time you have spent with the company. Transition help. 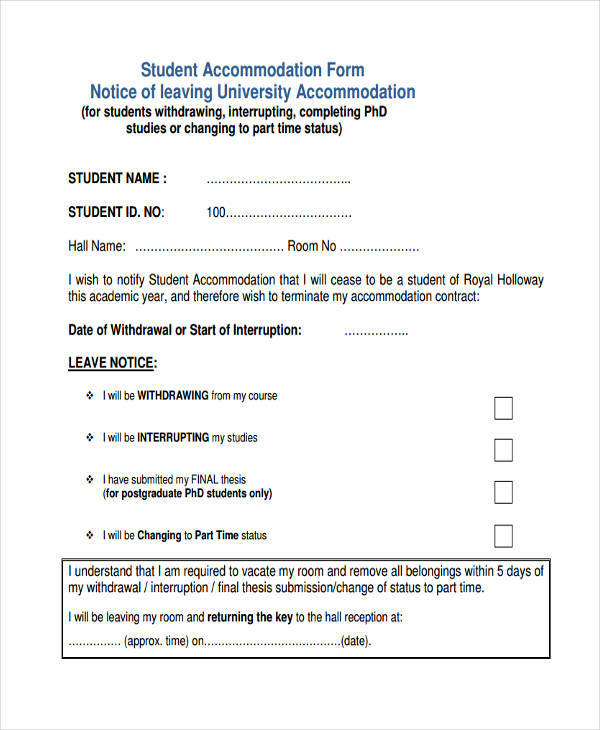 Make sure to include in your leaving notice in pdf that you are more than willing to help in the transition of the job role to the next employee as this shows your dedication to leave on a positive note. 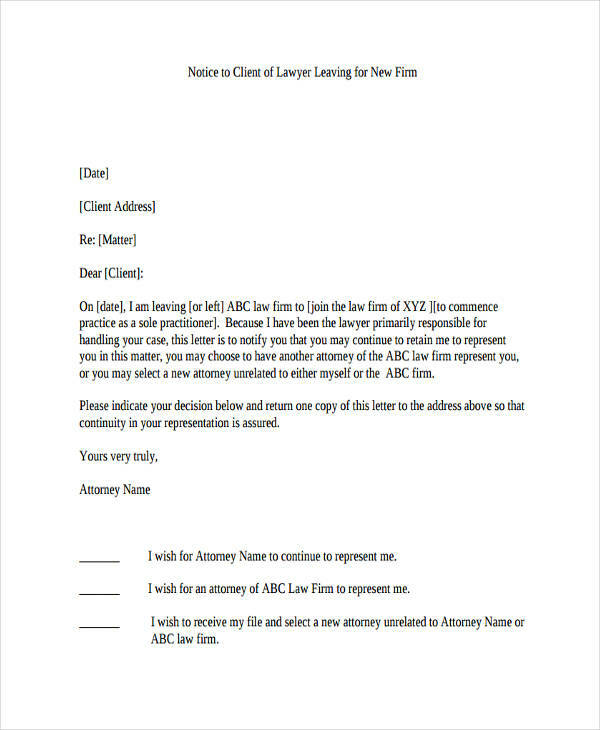 Notice letter examples and notice examples (in PDF) seen on the page can be used as a guide to help you in writing your own leaving notice letter. Relax. You got this. 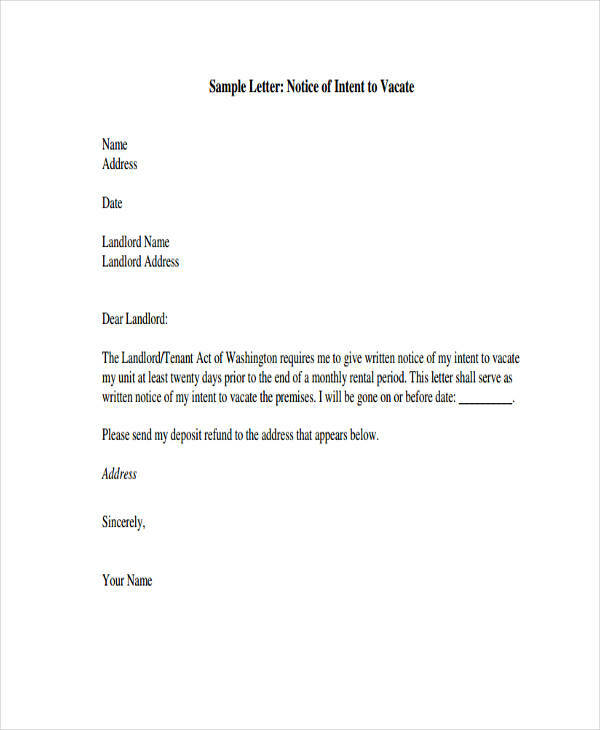 Being too descriptive when making a leave notice. 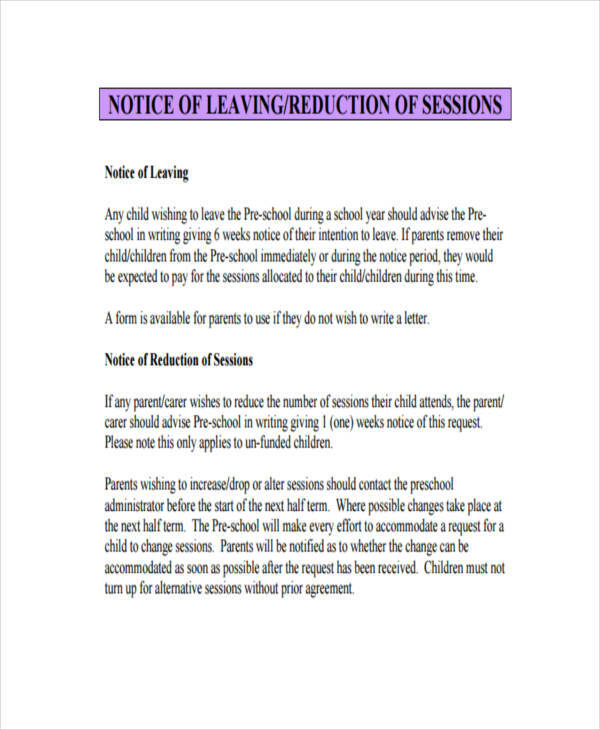 While it may sound logical but putting in too much detail in a leaving notice just doesn’t cut it. 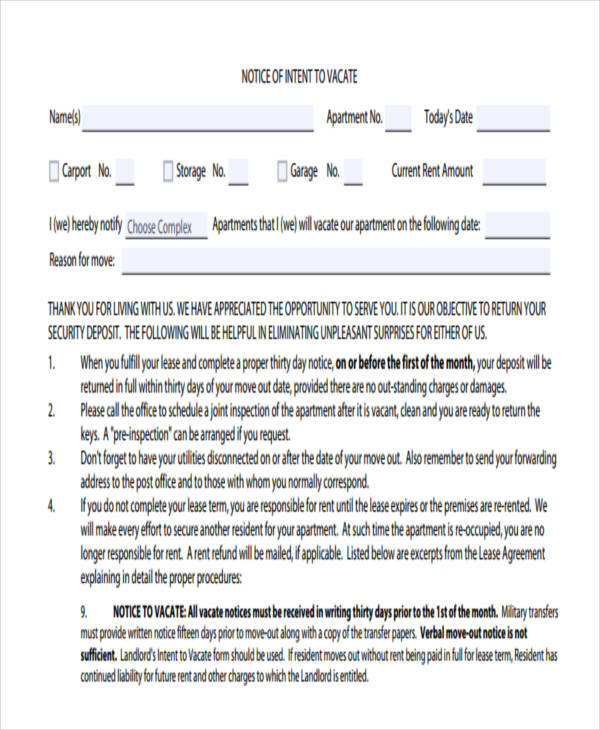 Most superiors would take a single glance at your notice in word and just sign or approve it. As what was previously said. Keep it simple. Being the bitter ex-girlfriend. You do not like to sound like the bitter ex-girlfriend whining about this and that. Leave your unhappy thoughts in your “safe place” as the leaving notice is no such place for that. What is written can never be taken back. You can always air out your grievances during the exit interview if need be. Burning bridges. Never say that you do not need anyone. It is always better to build relationships as short notice more often than not are more involved with one another than you think. Good luck on your next venture!